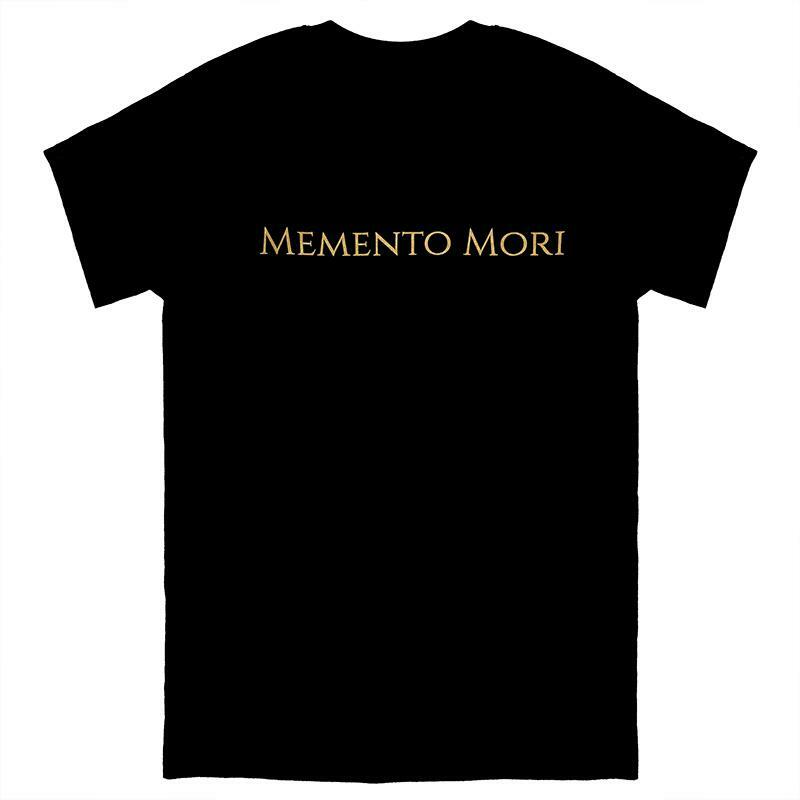 A unisex T-Shirt to commemorate the "Memento Mori" album release in 2018. Gold print on the back and front of a black t-shirt. Please select your t-shirt size from the drop-down menu below.